My Kids Craft Rings keep getting popular everyday. So now i was requested to make some Halloween Craft Spooky Rings. I have obviously planned tons of fun Halloween Crafts more closer to the actual date. But for now i wanted to start with a spooky ghost ring and a creepy spider ring. These were an instant hit with my daughter and her friends. Kids kept wearing them and chasing each other for some good fun. 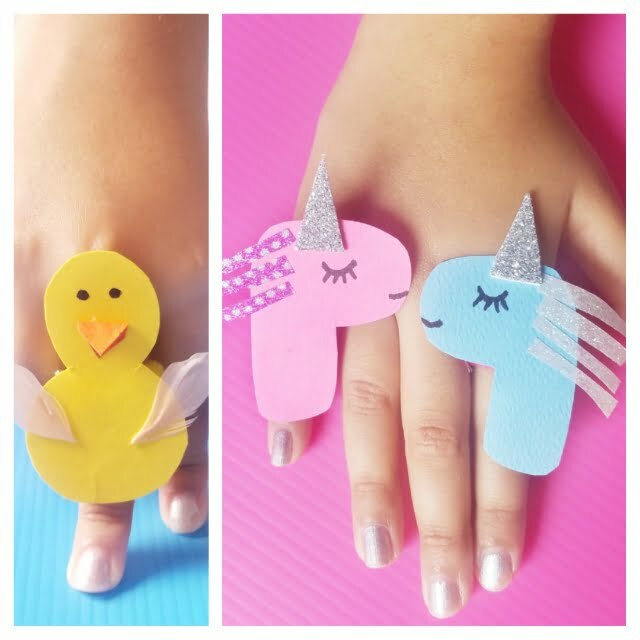 So before we start our spooky Halloween fun do check out my magical Unicorn Craft Finger Ring and an adorable Baby Bird Craft Finger Ring. By the way these rings have got to be easiest crafts ever with minimum mess. 1. 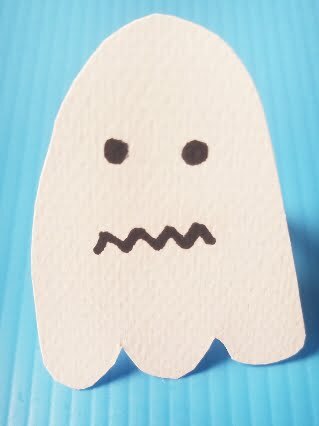 Cut out a ghost shape from white construction paper. 2. Use your black maker to draw scary eyes and lips. 3. Cut out a piece of pipe cleaner and make a circle out of it. 4. Now use your glue to past the ghost on the ring. Your ghost ring is ready now. 5. 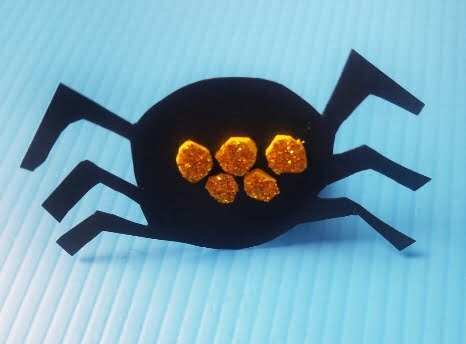 For the creepy spider ring, cut out a spider shape from black construction paper. 6. For its eyes i used golden sparkly paper. I cut out tiny circles and pasted them. 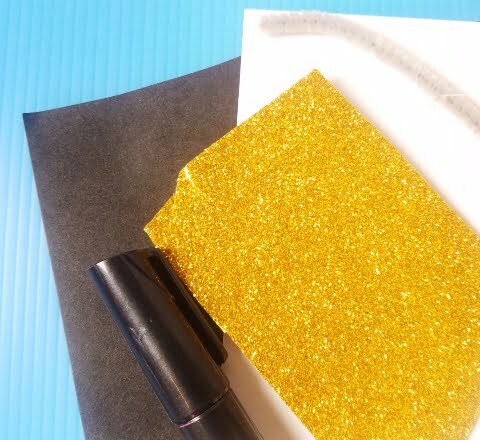 You can easily use a golden marker. 7. Again cut out your pipe cleaner and make a ring out of it. Paste your creepy spider on it. 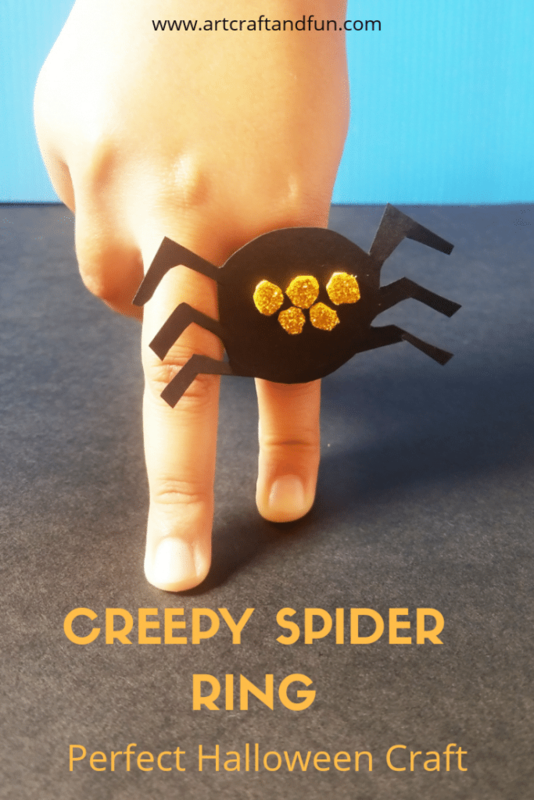 Your creepy spider ring is ready now. 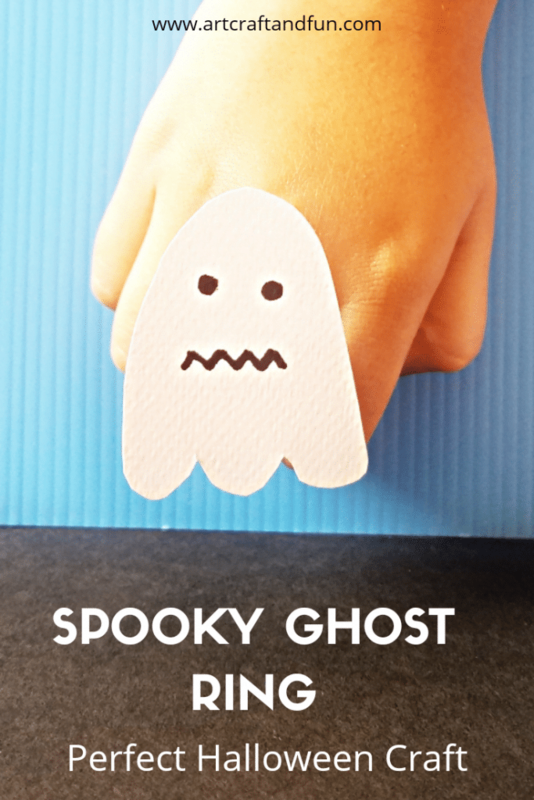 These Spooky rings are perfect to match your child’s Halloween Costumes. 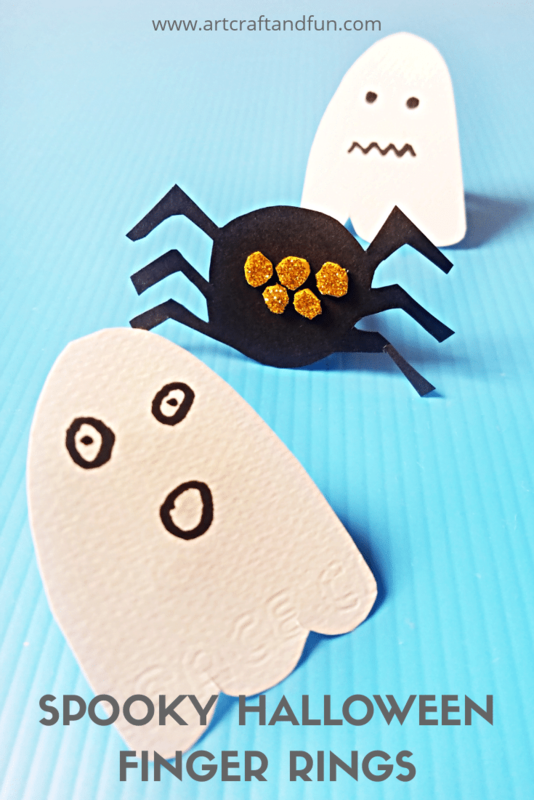 They are also great fun for a Halloween themed party in school or at home. And they are so simple to make that even i cant get over them. And i love the fact that my daughter loves wearing them. Its a great way for her to show her crafts to her friends. So do try these out with your kids and let me know how they turned out. Happy Crafting With Us! cool projects with cool ideas … step by step procedure was easy to follow . .
Aw, how fun! Have to try these with my nephew! I love how versatile the idea is, it can basically be adapted to any holiday. Absolutely! You can make anything you want. That’s the best part of this craft. In fact you can visit us again for some more kool ideas like this. OMG that is so cute. I’m going to make these with my niece and nephews. I know they will love to make these since they love Halloween. This is so cute! Halloween’s my daughter’s favorite holiday. We could make these rings and not break the budget. I am glad you like it!! All of my crafts are very budget friendly so do check them out as well. 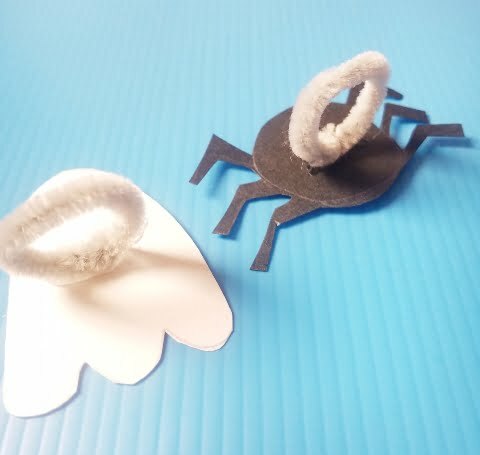 These Halloween rings look so easy to make & are absolutely adorable! My boys love the rings that come on cupcakes, so I know these are going to be super fun for them to make!